Today’s post is not typical of PBT. I’m featuring 2 books based on an ancient Indian tale traditionally called The Parable of the Blind Men and the Elephant. I’ll explore why either of these books would be fun and beneficial for a faith family. The labels at the bottom of this post will give you some ideas as well. You might even find another picture book based on this tale. Separately, I’ll give you some details for both books. 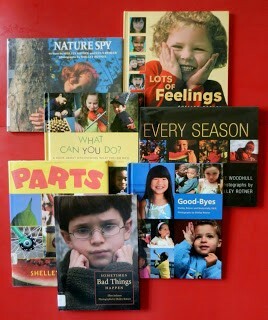 The first book featured would be more appropriate for preschoolers or young elementary children. The second book attributes the story to Rumi, a wonderful 13th century Persian poet who wrote The Elephant in the Dark as a part of a lengthy book of poems. This elephant parable is about the human tendency to make judgments and argue based on our limited experiences and perspectives. Both experience and perspective are crucial, but they can be misleading and righteous judgments can cause division. Faith families struggle with these issues. Too often people of faith think they have God all figured out when they simply have projected their experiences and perspective onto a limited image of God. Divisions are often due to such stalwart and narrow thinking. This old story is applied to theology often. In his most recent book about The Holy Trinity, The Divine Dance, Father Richard Rohr says, "We are like blind people touching the side of an elephant, describing the tiny portion we feel with all the conviction we can muster." Delving in to this human tendency would be beneficial for children and adults in your faith family, but let them decide what the story is telling them about human nature. Don't impose onto them your interpretation of the book or you'll be demonstrating this human tendency yourself! and so on until the 7th mouse manages to investigate the whole elephant and declares what it truly is. but wisdom comes from seeing the whole. Summary: Rumi’s poetic tale The Three Blind Men and the Elephant is beautifully illustrated here. Villagers hear of a magnificent creature that has been brought from India by a traveling merchant. When they confront the merchant and demand to see the creature, he tells them to let him sleep. The villagers decide to inspect the creature themselves. One by one, several people sneak into the dark barn where the creature is being kept, but they inspect the creature only in part and with haste. One man says it’s like a snake. one man says it's a tree. convinces a woman it's a fan. This results in lots of arguing and name calling and even shouting and shoving. When the merchant arises and parades the awesome elephant through the village, the villagers are too busy fighting to notice the stunning creature or realize how wrong they are. But, the children notice and are fascinated! This book has in the back an Author's Note and an Illustrator's Note. Check them out before reading to your audience.